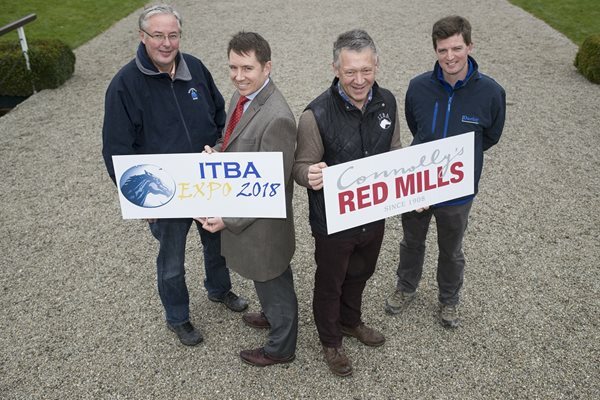 The Irish Thoroughbred Breeders’ Association today announced Connolly’s RED MILLS as partner for ITBA Expo 2018, which will take place at the Goffs Complex, 26th & 27th January. Connolly’s RED MILLS, an animal nutrition company, has developed into a global brand, exporting to 74 countries. Since 2015, the workforce of Connolly’s RED MILLS has increased by 100 and now stands at 320. The ITBA Expo ‘18 will bring together over 90 exhibitors to present and sell their products and services to thoroughbred enthusiasts, showcasing the latest advances in technology, machinery, veterinary science and equine nutrition.